Weapons and Systems upgrades were introduced for the familiar VBL displayed here with the new KBP Kvartet turret, mounting four Kornet anti-tank missile and associated electro-optical equipment. Other upgrades on the site included the British Warrior which was introduced with a new 40mm turret, utilizing the new CTI-40mm case telescopic gun turret. Among the highlights at Eurosatory were weapons systems and ammunition designed for light vehicles, primarily new wheeled armored gun systems, current and future combat systems. 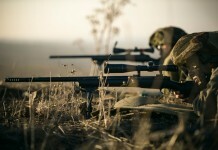 Among the weapons designed for such platforms are lightweight guns, displayed by Rheinmetall (120mm derivative) and IMI’s 105mm Low recoil gun. The 120mm version is already installed on the CV90 platform, while IMI’s gun is proposed for applications similar to the US Striker Brigade’s AGS. Advanced tank munitions were on display for both calibers. 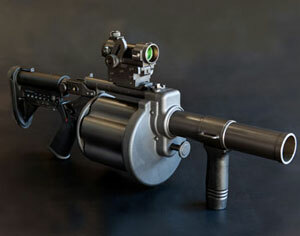 Rheinmetall showed its M53/63, General Dynamics displayed the KEW-A1/A2 and ATK’s presented its M-829A3. 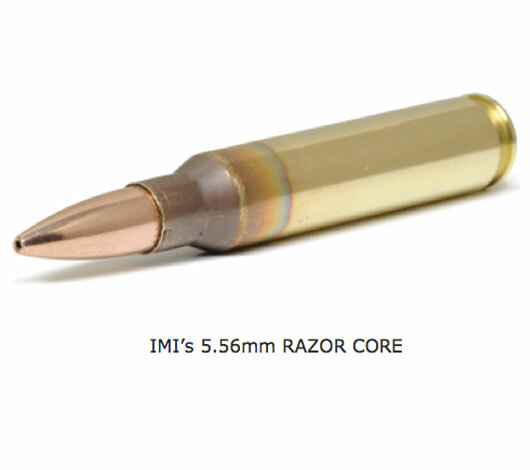 IMI also displayed KE ammunition but did not divulge new information about its characteristics. Other multi-purpose munitions were also on display. Generally, the new models use longer, heavier penetrating rods made of tungsten or depleted uranium, lighter sabots made composite materials and advanced propellant, which maintain stable characteristics through a wide temperature range. To enable the tank to engage targets beyond its visual range, several types of guided munitions are considered. The most mature are Russian guided missiles, such as the 9M119M designed for 125mm guns, demonstrated here by KBP and the Israeli Lahat, available for 105 and 120mm guns, displayed by IAI. Diehl is also developing a version of the SPAR gun-fired missile. All three are using shaped charges to defeat the target. A different approach, utilizing kinetic energy by projectile guidance and acceleration at the terminal phase, is under development at ATK. The debate on what weather HE or multi-purpose ammunition should augment the KE rounds demonstrate a shift from the pure anti-armor role of tanks, to a re balanced employment of tanks, against soft or armored targets, bunkers or buildings, on the ground, or in the air. 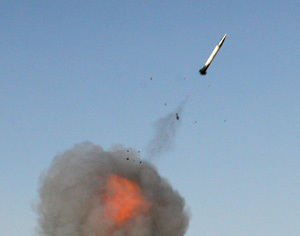 Typical solutions are calling for replacements for the M830 HEAT round, with more versatile projectile composed of dual-purpose explosive or shaped charge, fitted with fragmenting case, equipped with delay/percussion/time fuse, for penetration, impact, airburst (against unprotected infantry or helicopters) effects. ATK M-830A1 HEAT-MP-T is one such example, while Rheinmetall is using another approach, with its new 120mm HE. 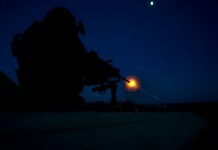 A more radical departure from HEAT is IMI’s APAM which also have the capability to engage dispersed soft targets. General Dynamics displayed the XM1028 a 120mm canister cartridge, designed for close range engagement of soft targets such as infantry and unprotected RPG threats. Ammunition safety measures, including a complete fire resistant ammunition stowage developed by Orlite for Israeli tanks, including Merkava and improved M60s.